So the other day I found myself using my Note 8.0 (which is still my go-to device while I'm at the house) while I was out and about. I needed a file off the cloud. On my phone it's no problem, but I wanted to use it on the bigger screen device. Only issue was that there was no Wifi for my tablet to connect to. 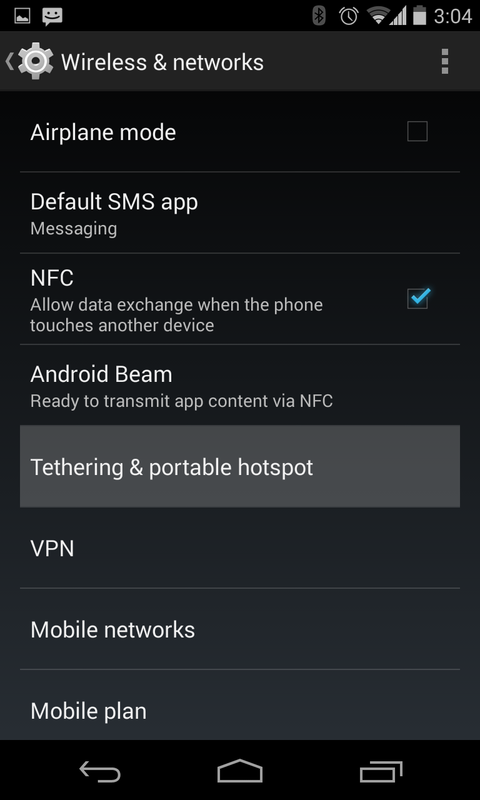 Then check mark the Portable WiFi hotspot. It'll go through some settings like setting up a password etc. for the wifi name. 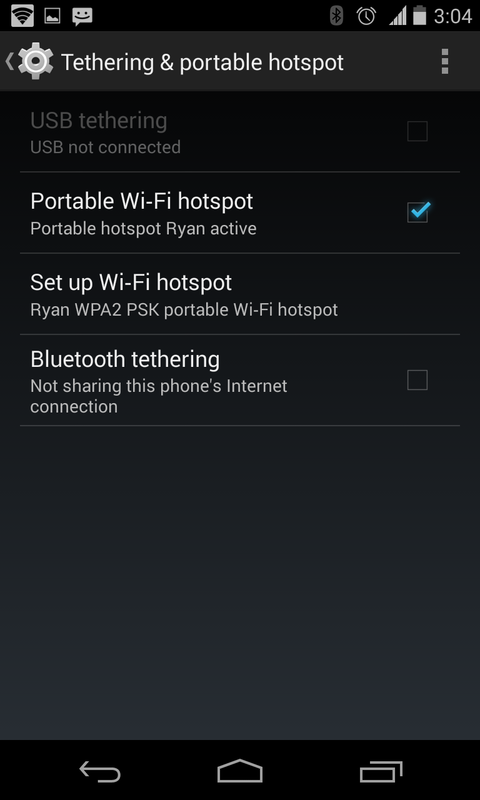 On the other device (my tablet) you can just go into the WiFi settings and connect. But it brought a bit of trepidation for me. As soon as my tablet would connect to WiFi it would start all of it's syncing services. Probably not a lot, but if you're counting your MB for your dataplan, you may not want your tablet drinking data away without any restriction. 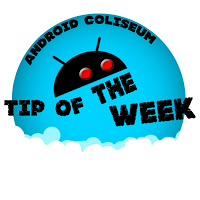 Well, there's an option for that, thanks to a tip from +Alex Dobie over at +Android Central there's a hidden option in your device to get it to 'sip' rather than chug. 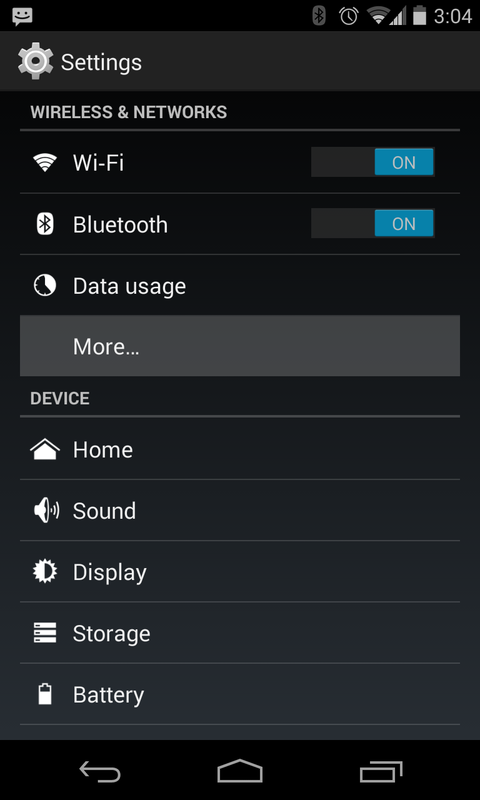 The setting is hidden away under the Data Usage option (Menu / Settings / Data Usage) and then hit the action menu (the 3 vertical dots) to bring up another menu. 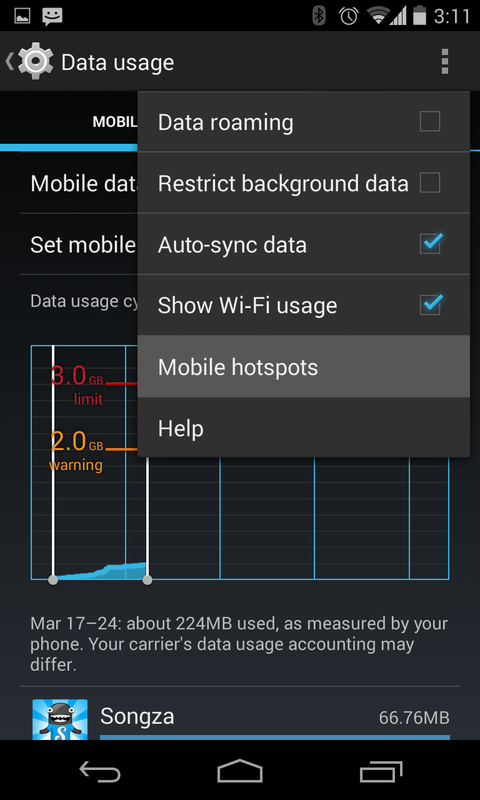 One of the options is for Mobile Hotspots. 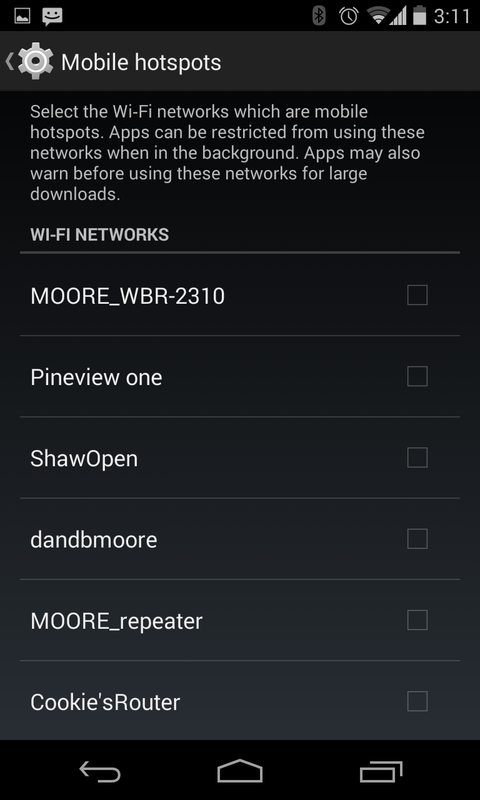 Click that and you're given a list of WiFi routers you've connected to in the past. If one of them was a tetherable device (say my phone WiFi signal) you can click it. From then on the device will know not to go hogwild with the data while connected.